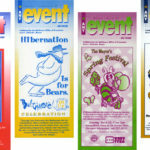 The Baltimore Office of Promotion published and distributed monthly event calendars with educational and recreational opportunities, including concerts, festivals, parades and workshops throughout the city. 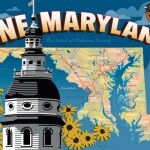 When Baltimore City celebrated its bicentennial anniversary, a New Year’s Eve gala was organized and promoted. Below is the folded invitation, and ticket for attendees. 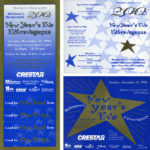 Both were 2-color designs, including a metallic ink. 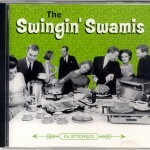 This Swinging Swamis CD was their second. A great group of guys and pretty good musicians, too. The Governor’s Coordinating Offices include a half-dozen units, working closely. 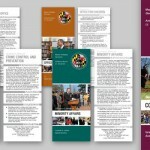 These were printed palmcards for government colleagues at municipal and county conferences.